Can be transferred to Rottnest location. Don't just jump... Create a lifelong memory! 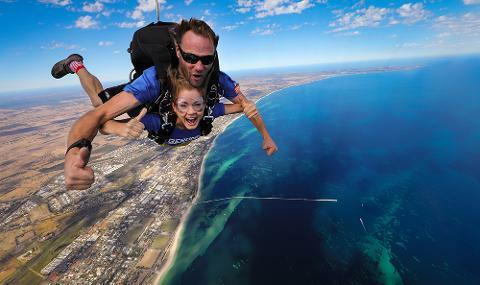 Your experience begins with a warm welcome at our facilities at the Busselton Regional Airport, followed by a briefing with your qualified and friendly Skydive Instructor. After a quick goodbye to family and friends, you will board the Geronimo aircraft and fly to jump altitude. The 10 – 15 minute flight features views of stunning WA coastline, breaching whales (from September – December) and landmarks such as the Cape Naturaliste Lighthouse and the Busselton Jetty. Together with your Instructor, you will free fall at 200kms/hr! Your Instructor will deploy your parachute at 5,000ft and you then enjoy a spectacular 5 minute parachute ride, before landing on the beach alongside family and friends. Then it’s time to celebrate! 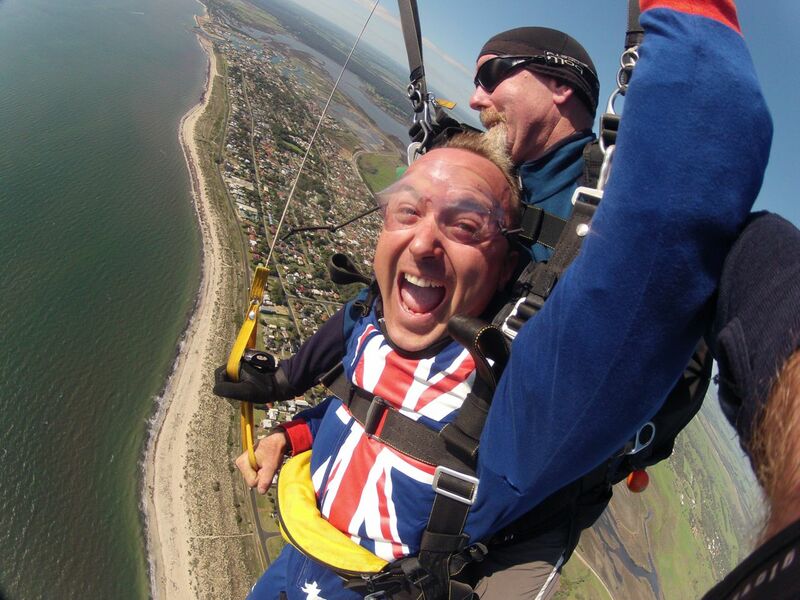 Customers enjoy a free celebratory drink the Equinox Busselton, while overlooking the ocean and the parachute landing area - skydiving is thirsty work!